It's almost mermaid season, y'all! That's right, we're almost on the last month of the countdown until the kiddos are out of school for Summer over there and I am busy planning fun things for my girl and me to do. Right now, I'm thinking we will spend many-a-day waterside this Summer and with hair like mine, we shall henceforth call it the Summer of mermaids! To celebrate the warmer weather, and the nearing of the Summer of mermaids, I've got a special mermaid treat coming at you today that is 100% beach body approved and guilt-free to boot. In fact, I think I might just call it nice cream instead. So, how does one make nice cream anyway? One way I'm doing it is by slowly going more and more plant-based. To start this ice cream off right, I picked up some Silk Unsweetened Almondmilk and Silk Plain Almond Dairy - Free Yogurt Alternative! I love that Silk is dairy-Free AND lactose-free, which means for me, that it's also guilt-free. I've always found that Silk is a great way for me to create these better-for-you recipes. And with just 30 calories in a serving of Silk Unsweetened Almondmilk and 6 grams of plant-powered protein in the Silk Plain Almond Dairy - Free Yogurt Alternative, you can rest easy knowing it's the perfect small way to transition to plant-based instead of dairy! Right now, there's even an Ibotta Offer available! Check it out below. To sweeten up the ice cream, I've added plenty of honey. Don't worry though! Agave works just as well. If you're wanting to make this a vegan ice cream, swap the honey out for agave and the cornstarch out for arrowroot. 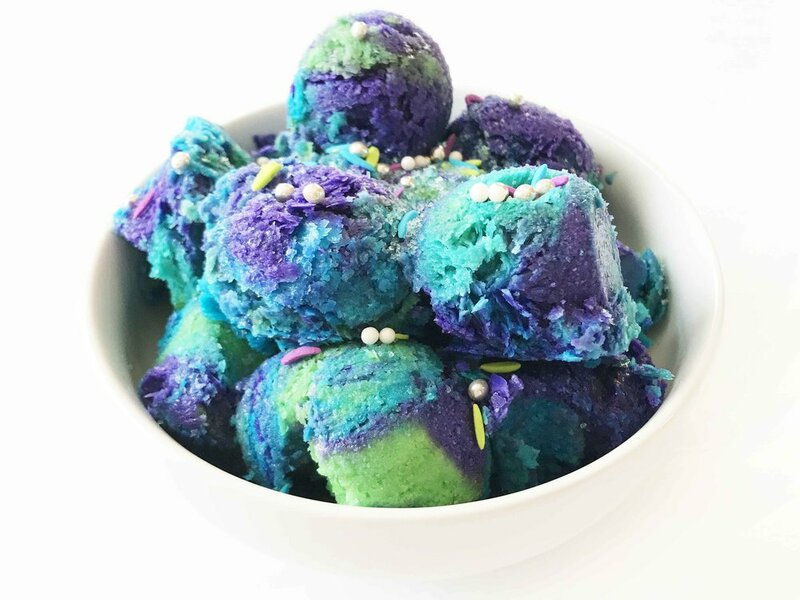 After that, we're making this ice cream even more spectacular with plenty of beautiful mermaid inspired jewel tone colors and sprinkles! Kids and adults alike will LOVE this fun and better-for-you twist on ice cream. Are you looking for more plant-based inspiration? Check out some of these other delicious ideas! A 'nice' cream that's as pretty as it is delicious! 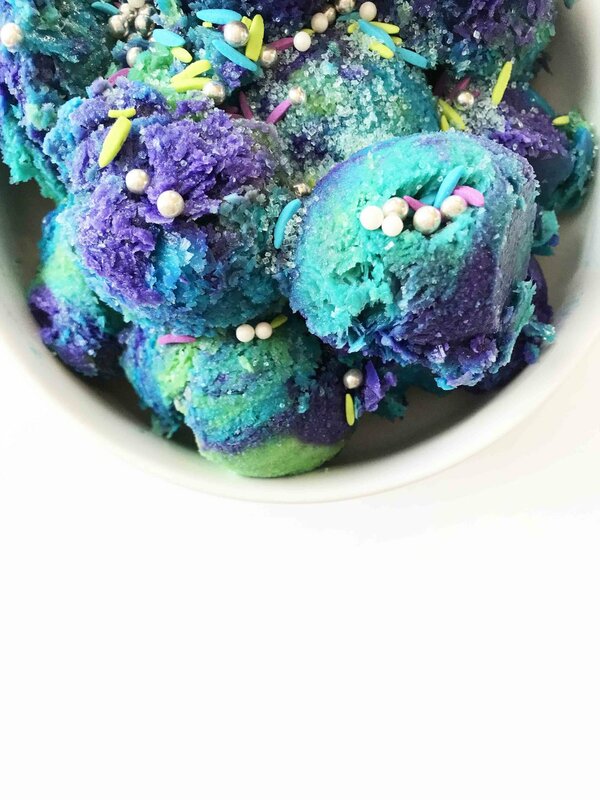 This dairy-free mermaid inspired ice cream is easy to make and perfectly guilt-free. In a large bowl, whisk together the 2 C. Unsweetened Vanilla Almondmilk, 2 C. Vanilla Almond Creamer, 1/2 C. Honey, 1/3 C. Silk Plain Almond Dairy - Free Yogurt Alternative, and 2 Tbsp. Corn Startch until well blended. 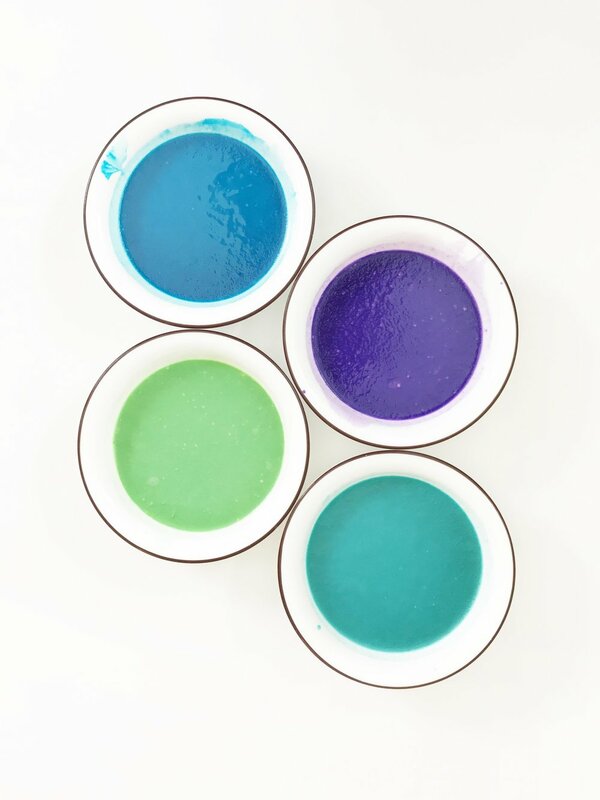 Divide the almond milk mixture evenly between 4 bowls and add desired food coloring to each; stir well to combine and blend in the color. Place the bowls into the freezer for a few hours or until nearly frozen but still somewhat soft. 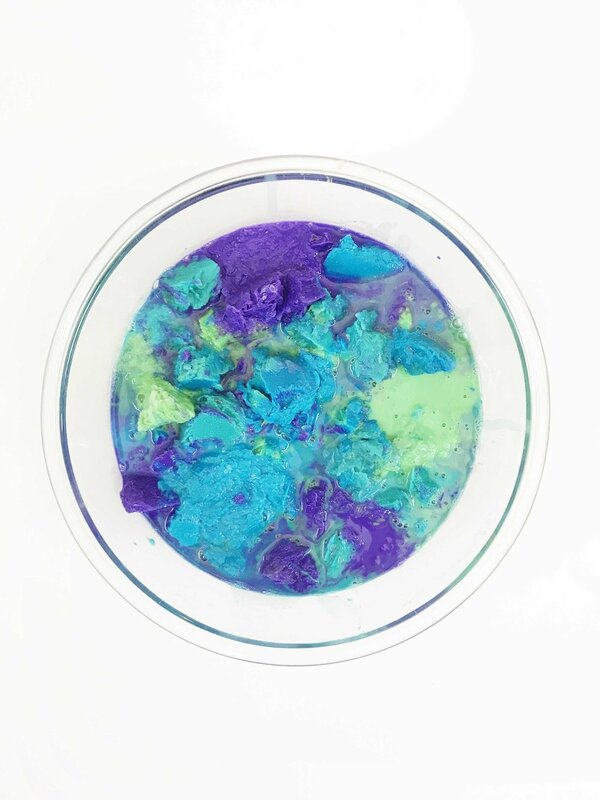 Scoop large rounded spoonfulls of each color of ice cream into a large bowl; dispersing the colors evenly from one another to get a good blend of all four. Flatten the ice cream back out and place the bowl into the freezer overnight. Once done, the ice cream should be good and frozen, but still scoopable! Divide evenly among bowls and top with sprinkles if desired. Serve right away and enjoy! Life as a mermaid is hard. But grocery shopping doesn't have to be! I got my Silk Almondmilk products at my local Walmart by using the Walmart Online Grocery Pickup! It's as easy as ordering online and going to pick it up at the store. No fuss. No muss.